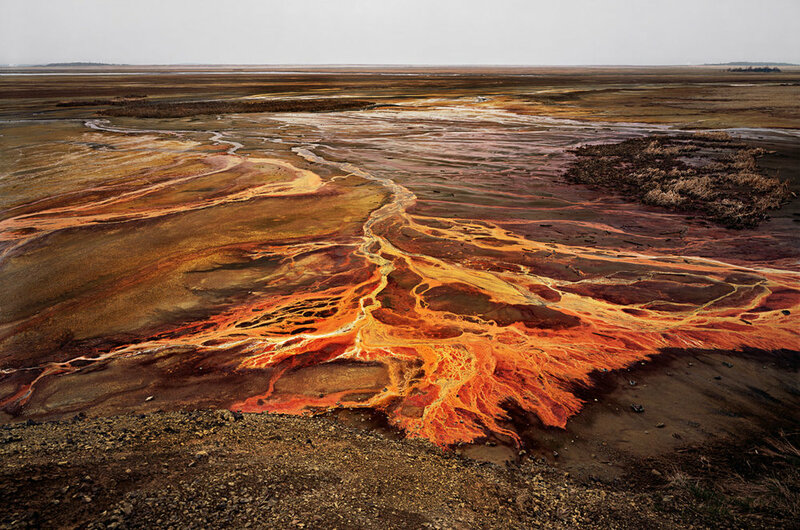 "Consider a picture such as Nickel Tailings #34 from Burtynsky's "Mines and Tailings," a series devoted to the environmental aftermath of metal mining and smelting. Under a cool, grey sky, against a wintry violet backdrop of distant trees, a brilliant orange river swerves toward the camera from within a deep brown landscape. 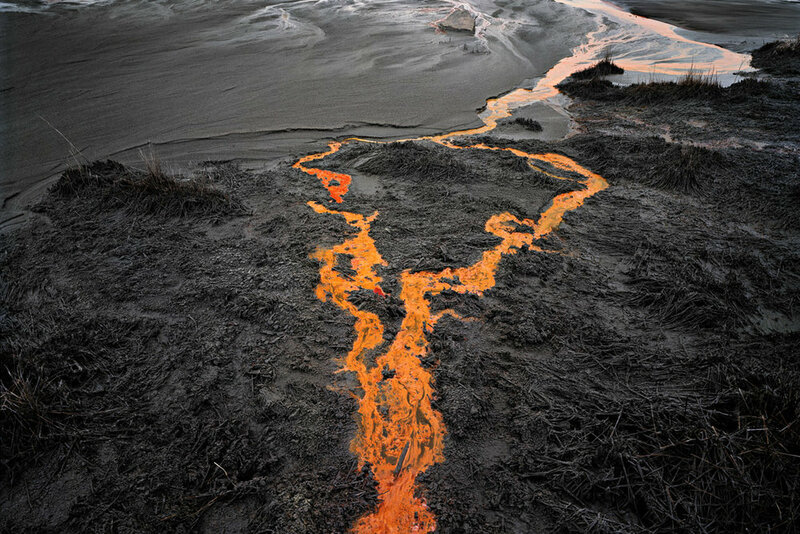 Fauvism has taught us to tolerate, even to relish, a pictorial anomaly such as a flaming orange river. 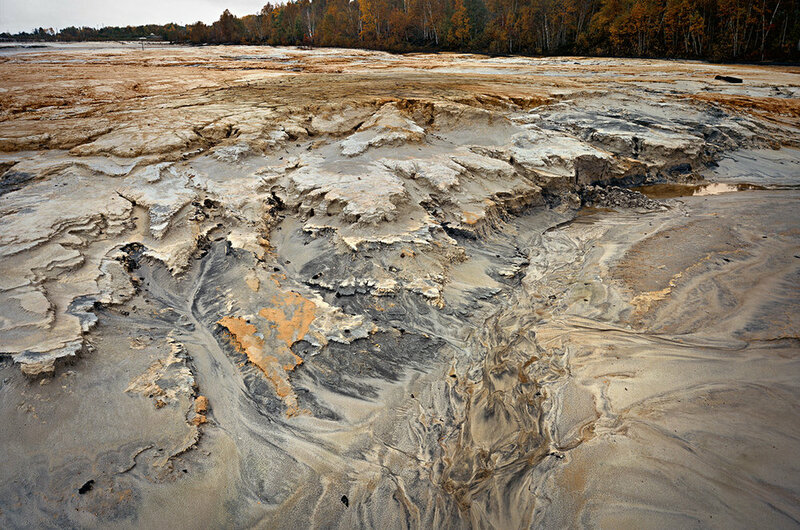 From abstract painting, we have learned to admire the bold, simple surface design we find in Burtynsky's Nickel Tailings #34.